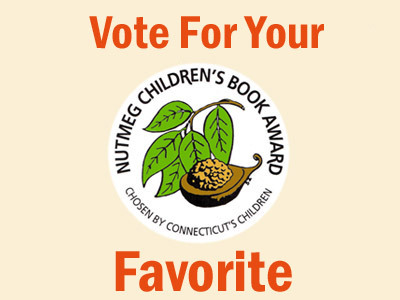 April 10, 2019 Alyssa Bussard Library Blog Comments Off on Nutmeg Voting is LIVE! Have you read any of the Nutmeg Nominees this year? Why not vote on your favorite? Please only vote once per book list, you do not have to read every book on every list in order to vote. Voting ends on April 26, 2019. To learn more about the Nutmeg Nominees, visit the Nutmeg Award website.